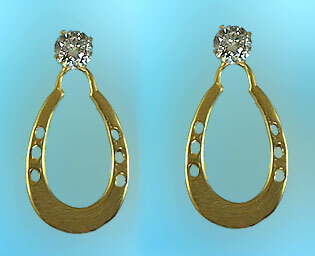 These horseshoe earrings are a sleek design and sure to make an imprint on anyone who wears them. The Gorgeous Horse has many horseshoe earrings, be sure to give them all a look and add to your collection. Dimensions: 1/2 inch x 1 inch tall Available in 14kt yellow and white gold and sterling silver.